495916072 -A landmark collection of over 200 complete musical compositions and movements, ranging from the Middle Ages to the present, Anthology for Musical Analysis offers first- and second-year music theory students a wealth of illustrations of chords, voice-leading techniques, and forms, plus some material for figured-bass realization and score reading. 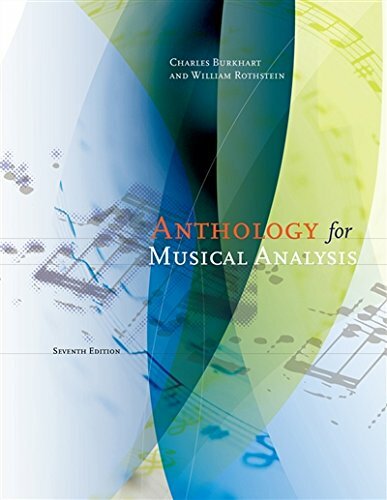 In addition, this book provides ample material for both a full-year course in the analysis of musical forms and a one-semester course in twentieth-century techniques. Because this book takes no theoretical position, it is adaptable to any theoretical approach and to any type of curriculum, including those that combine theory study with music literature and the history of musical style. The new edition features new repertoire, including pieces by Giacomo Carissimi, J. S. Bach, W. A. Mozart, Franz Schubert, Robert Schumann, Frédéric Chopin, Giuseppe Verdi, Johannes Brahms, Gabriel Fauré, Arnold Schoenberg, Sergei Prokofiev, Aaron Copland, Dmitri Shostakovich, Elliott Carter, and Milton Babbitt. The website will include pieces that instructors can use to supplement the course. Two indexes serve as “example finders,” locating by page and measure number many examples in the music of chords, harmonic and contrapuntal devices, musical forms and genres, and many other technical elements. Instructors will find this feature particularly useful to quickly find examples of what they want to teach. Each musical form (e.g., sonata form, rondo, variations, fugue, etc.) is represented by numerous examples progressing from simple to complex, providing students with a wide range of pieces to study. A glossary of foreign terms and expressions adds cultural context and defines relevant vocabulary for students. Burkhart includes works from more than 50 different composers and more than 200 complete musical compositions, providing a thorough sampling of styles for comparison and selections from which to choose. Although arranged chronologically, the pieces can be taught in the order that best suits the instructor’s needs.